These spirit-filled glass thermometers meet EPA requirements. 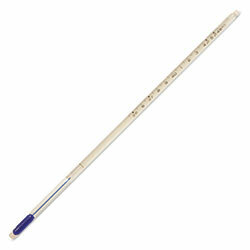 Coliform incubator thermometers are designed to use in incubators or baths during coliform tests. Use them to monitor equipment. Each includes an individual serial number and certificate of accuracy. Fluoropolymer coating offers extra breakage protection.